“The most interesting new fixed-wing ultralight had not flown and was displayed without its wings. Troy Woodland, EAA 638040, creator of Just Aircraft Highlander and SuperSTOL, introduced a new ultralight. The prototype is a mid-boom, high-wing, strut-braced tractor monoplane. It is flown with the legs outside the fuselage. The engine is the very light 38-hp, liquid-cooled Polini THOR 250. The Superlite wings (140) square feet) have tube spars and no flaps. The have leading edge slots and spoilers. At very low speeds and high angles of attack, spoilers often work better than ailerons. Troy plans to offer a complete kit with a custom engine mount for the Polini”. “The Superlite ultralight by just Aircraft promised short takeoff fun”. If you know the Part 103 category of the FAA regulations, you know these are the lightest aircraft in aviation (that is, man-carrying aircraft; drones excepted). * After years of disappearing, Part 103 entries have come back more recently and at AirVenture Oshkosh 2017, we saw another. This is the Just Aircraft Superlite, except that name was never certain and has (since Oshkosh) been taken off the list as a model name. Until they put a fresh name on it, I will call it Just 103. Part 103, as most readers may know, requires no pilot certificate (really, none!). They also require no FAA registration or N-numbers. Since 1982, you need no aviation medical to fly one. Plus, they can be built ready-to-fly… or in kit form of any percentage. 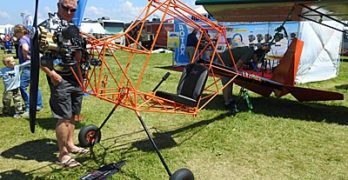 For 35 years now — the rule went effective in September of 1982 — Part 103 ultralight vehicles have been part of the aviation firmament. CubCrafters now leads the field for Special LSA (see this report to learn more) thanks significantly to their early installation of the 180 horsepower Titan engine. Outback Shock is starting making waves in the sky with their impressive entry. Outback with Shock options is sold in America by SportairUSA. Both these companies are to be congratulated for advancing the light aircraft field, but one aircraft really lit this space on fire: Just Aircraft and their ground-breaking SuperSTOL. Just Aircraft went beyond vintage appeal by extending SuperSTOL ability with several distinctive features. “The dual slatted wing significantly enhanced performance and slow flight control,” said design engineer Troy Woodland. His SuperSTOL wing design incorporates self-deploying leading edge slats and wide span Fowler flaps to increase stall range. SuperSTOL also uses vortex generators to further stretch slow flight performance and handling (photo). “This provides access to considerably more off-airport landing sites, making the SuperSTOL one of the most versatile backcountry machines out there,” Troy added. Boeing does it. Why not Just Aircraft? Of course, a stretched Boeing only transports more people somewhere. The experience is not more fun … maybe less so. Flying in a Just airplane will put a huge grin on your face and now it is a lot more likely to do so. Having experienced SuperSTOL with 100 horsepower, I can’t wait to get a shot at one with (trumpets blare here) 180 horsepower. Hoo-Rah! “To accommodate larger engines,” the company announced, “we introduce our new SuperSTOL Stretch XL.” By adding an extra two feet to the aft section of the fuselage and six inches up front, the SuperSTOL Stretch XL can now accommodate the new UL Power 520 engine series or Lycoming’s O-320 engine series that outputs 150-160 hp. A plain old — but still exciting — SuperSTOL is powered by the 100 horsepower Rotax 912 which weighs approximately 165 pounds, with accessories, or the 115 hp Rotax 914, weighing 175 pounds. “Since the company was formed in 2002, Just Aircraft was focused on developing an aircraft that would excel in back country performance,” the company announced recently. “Starting with the Escapade, the company began shipping out kits. At Sun ‘n Fun 2016, Just Aircraft is showing off its new Titan-powered SuperSTOL XL. Harrison Smith took Paul Bertorelli for a half-day demo flight in the new airplane, and here’s his video report. Just Aircraft has announced plans to provide optional instructions and materials for installing spoilers on new SuperSTOL kits. The addition of spoilers significantly enhances slow flight control, especially in undesirable wind conditions. They represent the latest step in advancing the short takeoff and landing capabilities of the SuperSTOL. The SuperSTOL is now being offered with an optional spoilers kit to improve control at slow speeds. The kits, which connect the spoilers to the ailerons, take about 40 hours to install. They can be mounted at the factory for an additional charge. Designed to deploy with the ailerons, the spoilers will rise on the right wing when the pilot moves the stick to the right. Since stick movements at cruise speed are minimal, the spoilers have little effect, but in slow speed operations, when the stick movements are greater, the spoilers will reach maximum deployment and effectiveness. 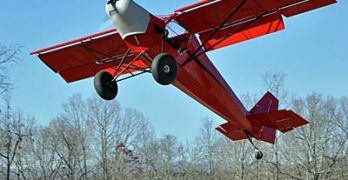 The SuperSTOL wing features slats that extend in slow flight, vortex generators, and fowler flaps all of which are designed to allow the aircraft to fly at a very high angle of attack without stalling. That in turn, allows a touchdown speed in the low 20s in calm conditions. Optional spoiler kits, which are available only for the SuperSTOL, are priced at $1,000. With factory installation, the price is $2,500. 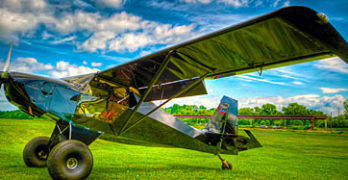 For more information visit JustAircraft.com. It took a while, but it was worth it. My “retirement project” took 7-1/2 yrs to finish because of being called back to work. This stock Highlander flew for the first time January 2013, and it is such a fun airplane to fly, I have to force myself to put it back in the hangar. The airplane loves turf and hates concrete. Just Aircraft is well known for its sporty, two-place taildraggers and at Sun ‘n Fun 2013 the company had on display a new model called the SuperSTOL. How does takeoffs and landings in under 100 feet sound? Less if there’s a little wind. N419BD is a Just Aircraft Highlander and was completed after 10 months in June 2010. This is the second Highlander I’ve built in the past 18 months. It’s powered by a UL350iS engine manufactured in Belgium by ULPower and it’s 130hp, fuel injected, electronic ignition and weighs in at only 173lbs ready to fly. The installed instruments are two Dynon 10” Skyview glass panels, Becker transponder and an Xcom radio. I painted the Highlander base colors (brown and almond) with Stewart Systems Waterborne System and the remaining trim colors are metallic vinyl. The airplane now has 35 hours, and I’m looking forward to a lot of back country flying with friends. Walhalla, SC – Just Aircraft has reached an agreement with Robert Pooler in the U.K. to begin selling SuperSTOL Aircraft kits, Read it all. pending approval by England’s Civil Aviation Authority. An application has already been submitted and once consent is received, other countries in the EU are expected to issue similar authorizations soon. As its name implies, the SuperSTOL is highly effective as a short takeoff and landing aircraft. It can get off or roll out in a little over 50 feet. With 21″ tundra tires it can land in just about any type of clearing, riverbed or shoreline. Skis and floats are also options for the versatile two-seat, side-by-side aircraft. Just Aircraft has announced plans to provide optional instructions and materials for installing spoilers on new SuperSTOL kits. Read it all. The addition of spoilers significantly enhances slow flight control, especially in undesirable wind conditions. They represent the latest step in advancing the short takeoff and landing capabilities of the SuperSTOL. Optional spoiler kits, which are available only for the SuperSTOL, are priced at $1,000. With factory installation, the price is $2,500. Amazing STOL performance in a plane you can live with every day. See the Article from Kitplanes October edition . Just Aircraft has completed design and testing of a new “Slatted wing” and compatible “Shock Absorber Landing Gear”. The results exceeded expectations! 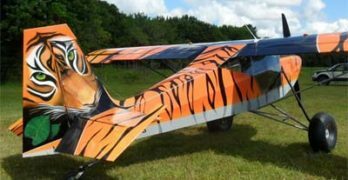 “This newly completed “Superstol” with a high lift wing and long strut air shock landing gear is the ultimate future bushplane. Fowler flaps and automatic leading edge slats increase wing cord and provide exceptional STOL performance while maintaining the trailerable folding wing. The shock absorber gear will be fitted with 29″ Tundra Tires that allows an extremely aggressive landing. The wings can also be supplied on existing planes. Orders are being taken now for fall delivery. Contact Just Aircraft at 864-718-0320 or www.justaircraft.com for further information. See video of Superstol here . Just Aircraft takes another Grand Champion award in Oshkosh. See it here . 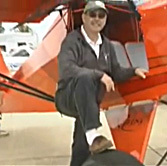 Steve Henry takes Grand Champion Arlington Fly-In 2012 Award . Just Aircraft of Walhalla, SC recently received the prestigious “Export Achievement Award” from the U.S. Department of Commerce. Read it all. Just Aircraft established new dealers in Australia and New Zealand with the help of the “Export Assistance” center in Greenville, S.C. and the centers in Australia and New Zealand. Just Aircraft also exports to South America, Canada, and Europe. Their STOL aircraft are uniquely designed for back-country and extreme conditions. Contact Just Aircraft at www.justaircraft.com or owner comments at www.wingsforum.com. Watch this video of the amazing Highlander take off and land . Dead Stick Takeoff Flying Adventures! This video is 45 minutes of Steve Henry flying his Highlander in and out of some very challenging places. If you have any desire to see what the Highlander is capable of, or just like to watch some intense back country flying, this is the video for you. It includes His “dead stick” takeoff, along with more amazing stick and rudder flying. Although it is not meant to be an instructional video, Steve does explain a lot about how he does these things in his Just Aircraft Highlander. To place an order or just to check it out, go to www.deadsticktakeoff.com . See a preview of the DVD on You Tube. The Just Aircraft Escapade wins Best Microlight class 2 (two seat) award at the annual Sports Aircraft Association airshow in New Zealand. See pictures at the Wings Forum . See our Highlander article in the February 2010 edition of Kit Planes here .